Colombia is located in the North Western corner of South America. It is roughly twice the size of Texas and is bordered by Panamá, Venezuela, Brazil, Perú and Equador, as well as the North Pacific Ocean and the Caribbean Sea. The landscape is quite variable throughout the country, with snow-capped mountains, beaches, jungles and everything in between. Colombia is one of the world’s top exporters of coffee,bananas, cut flowers & emeralds and is the third most biologically diverse country in the world. The population of Colombia is estimated to be over 46,000,000, and is made up of quite a diverse group of people. We see this both culturally, ethnically, economically, and spiritually. The major religion is Roman Catholicism, making up 90% of the population, but in the remaining 10% is composed of Jews, Pentecostals, Presbyterians, Seventh Day Adventists, Evangelicals, Muslims, Jehovah’s Witness, Mormons, Baha’i, even Taoists. Since 1991, the Colombian constitution has granted a non-discriminatory freedom of religion to all faiths. Still, Catholicism remains the major religious force of the country. Sadly, for many decades Colombia has been plagued with violence from Paramilitary groups and the drug cartel, such as the FARC (Revolutionary Armed Forces of Colombia). However, during the past decade, the country has made great strides toward becoming much more peaceful and controlled as the leftist rebels have lost quite a bit of ground. There are occasional conflicts with local police and Colombian military, and these groups still have control over a couple of zones in Southwest Colombia and other remote sectors, but they are not the prevalent force of danger that they once were. In fact, most people who live in and travel through Colombia will report that there is rarely even a sighting of paramilitary forces. On the contrary, people find that Colombia is a beautiful country filled with very friendly people. Though one should still take precautionary measures not to cross these leftist rebel groups, our mainstream media has over-emphasized this problem. The Colombia we hear about through the media is not necessarily the real Colombia. As previously stated, for just over 20 years, Colombia has had full religious freedom. And the truth is, most people are looking for something else. The dead faith of their fathers has been proven to be empty and non-fulfilling. They need another alternative. They need Jesus Christ. But we have failed to reach them. 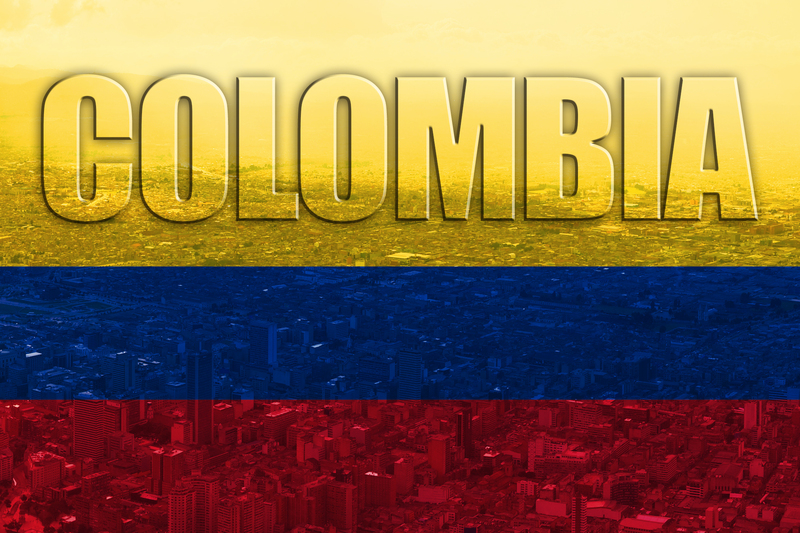 Out of all latin american countries, Colombia has been commonly reported as the least evangelized. Perhaps it is because of the violence that has afflicted this nation. Perhaps it is because of the fear of other Christian nations to take them the Gospel. Perhaps it is because we haven’t clearly seen the need. Perhaps it is because we just don’t care. Whatever the case may be, we must do all in our power to evangelize Colombia. Not because we are inherently better than they, nor because we desire to “Americanize” them, but because Colombians suffer from the same problem we all do. Sin. Evil and wrongdoing against an almighty God. That sin, the Bible says, must be paid for–with death. Separation from God in a place called hell. We all deserve this. But Jesus Christ, in his love, died on the cross to pay our sin-debt. Now, accepting HIS payment as our own, God may legally forgive us. Not only that , but he makes us a brand new creation. He gives us a new life, a new joy, a new peace, a new purpose, a new beginning and so much more. Colombians need to hear this message. So does the rest of the world. As Christians, we have the opportunity, or more appropriately, the command, to go into all the world and preach the gospel to everyone. But, how are we fulfilling this command? Have we picked and chosen which places we want to take the Gospel? The ones where there is not much opposition? The ones that are “easy?” The ones that speak our language? The commission of Jesus Christ for us is to take the Gospel to “All the World.” Colombia isn’t the only place that needs this message. There are scores of countries and places that need a Gospel witness. What are you doing to reach the world? Let us take every opportunity we have to be the witness and light we can and should be. wow estaré mucho orando por ustedes y su ministerio. DIOS ha puesto también una carga en mi corazón por este país. Colombia . que DIOS les siga bendiciendo como hasta ahora .en todo lo q harán para ir para alla . Dios te bendiga y su familia. Thank God that some are willing to go.